In Formula 1™, money makes the wheels go around. Just this week, we have seen the words ‘Formula 1’ and ‘wealth’ but around like there’s no tomorrow with the news that American billionaire media tycoon John Malone has completed an $8.5bn mega deal to purchase motorsport’s premier franchise. Big-budgets, multi-million dollar salaries and a head-spiraling prize fund for completing teams; make no mistake about it, Formula 1 exuberates the lifestyle of the rich and the famous. Of those who benefit the most from Formula 1’s massive pockets, drivers are at the front of the grid. Here, we look at the five wealthiest F1 drivers in history. Lewis Hamilton, $110 million - Three-time world champion Lewis Hamilton looks primed to claim his fourth this year, but has a battle on his hands from Mercedes’ teammate Nico Rosberg. Currently on a base salary of $30.1 million a year who should rise to about $42 million a year based on performances, Hamilton is in the prime of his career. Still only 31, Hamilton has endorsement deals with Santander, Tag Heuer and Reebok, and looks set to further his career earnings. He currently resides in the luxurious Monaco and is Britain’s highest earning athlete ahead of Manchester United captain Wayne Rooney. Eddie Irvine, $140 million - Perhaps a surprise inclusion on this last and the least successful man on the track, Irishman Eddie Irvine won just four out of 148 races he took part in, all of which coming in 1999 when finishing second. Picked up by the Jordan Team, he spent 10 seasons in Formula 1, racing for Jaguar and Ferrari additionally. Owning more than 50 properties worldwide, the majority of his fortune has been made off the track. The least successful man on the track on this list, is the joint third most successful financially. Eddie Irvine won only four races out of the 148 he took part in, all of which came in the 1999 season when he finished second. Irvine spent 10 seasons in F1, racing for Jordan, Ferrari and Jaguar. He also owns a sports complex in his hometown in Bangor, Northern Ireland. Kimi Raikkonen, $180 million - In 2007, Kimi Raikkonen became the highest paid athlete in the world with a base salary of $51 million a year when he moved from McLaren to Ferrari. The move also saw him win his first and only World Drivers’ Championship to date. Seeking pastures new, Raikkonen ventured into rallying and NASCAR before returning to F1 in 2012. 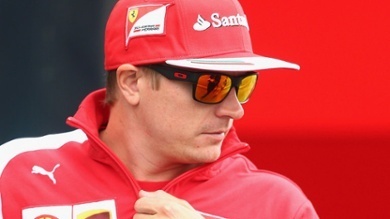 Currently driving for the Ferrari team, he currently sits in fifth position in this year’s drivers’ championship. The Finnish driver also owns a Motocross World Championship team. Fernando Alonso, $220 million - Having begun karting at the age of three, Spaniard Fernando Alonso was always destined for greatness. World champion in 2005 and 2006 for Renault, Alonso has also been runner-up three times also. Earning a base salary of $40 million a year which could rise depending on performances, the Spaniard has been a model of consistency ever since he entered F1 in 2001. He has consistently been one of the highest paid drivers on the circuit, and sits in sixth place all-time for most Grand Prix wins with 32. Michael Schumacher, $780 million - Similar to how his Formula 1 career went, Michael Schumacher is simply streets ahead of everyone else. The greatest driver of all-time, the seven-time world champion is the third wealthiest sportsman of all-time behind only Ion Tiriac and Michael Jordan. Once thought to be the first ever billionaire sportsman, he has donated more money than most on this list. He began F1 racing in 1991 and didn’t retire until 2012, although he did take a four-year break between 2006 and 2010. 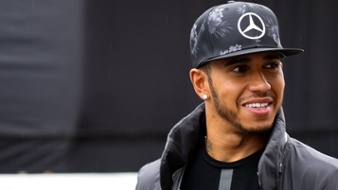 During the peak of his powers, he earned close to $50 million a year from Ferrari, while Shell paid Michael Schumacher $10 million each year to wear a hat with the company logo on it. Over 19 seasons, he raced for Jordan, Benetton, Ferrari and Mercedes, winning two championships with Benetton and five with Ferrari. 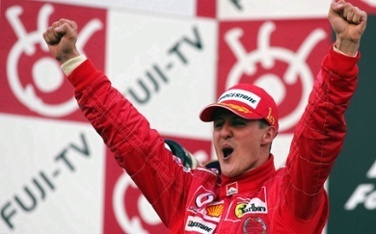 Schumacher suffered a serious head injury whilst skiing in December 2013 and has been receiving regular treatment ever since. 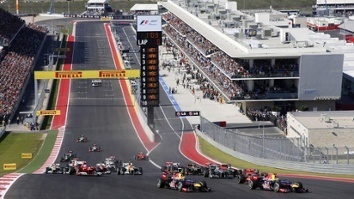 Book Your Spot At The United States Grand Prix! Watch the best drivers in the world battle it out as this season’s championship race goes right down to the wire. As the drama unfolds in the year’s remaining races, why not take the unique opportunity to witness the action up close and personal at October 23rd’s FORMULA 1 UNITED STATES GRAND PRIX™, which takes place at Circuit of The Americas™ in Austin, Texas. Kick off your Formula One Paddock Club™ access with Grand Prix Experiences – it’s literally the best seat in the house! Enjoy the luxury that the Paddock Club offers with privileged views of the race, gourmet food spreads, an exclusive Pit Lane Walk, access to the Support Race Paddock, and much, much more!